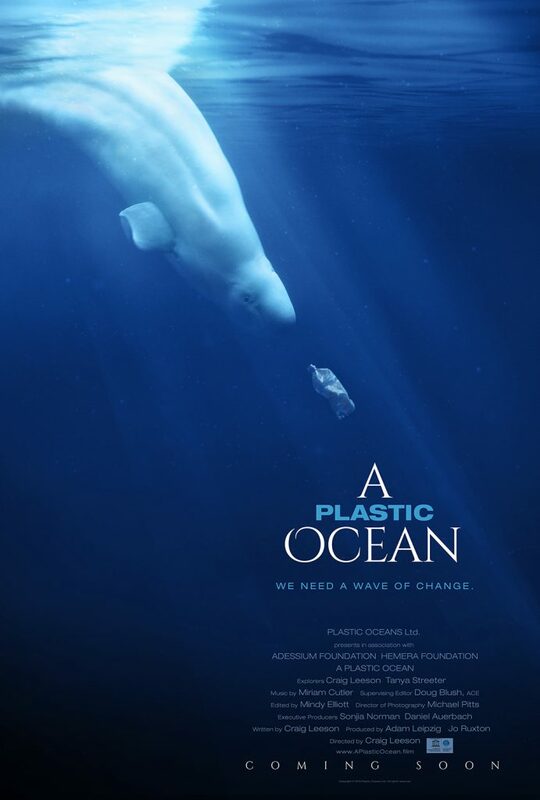 At a local screening of the thought-provoking film ‘A Plastic Ocean’ last night, I was reminded how easily we can ignore seriously important issues when other urgent, news-worthy headlines are grabbing our attention from every direction. I’ve always considered myself reasonably savvy when it comes to minimising my impact on the environment, but like most people, I don’t always make the right choices and sometimes accept below-ideal alternatives, especially if ‘doing the right thing’ might be inconvenient, difficult or expensive. Therefore watching A Plastic Ocean was a timely reminder of the urgency of the issue, and that small decisions made by anyone and everyone can certainly change things for the better. As an environmentalist typically focused on tricky negotiations with large extractive companies to minimise impacts on wildlife and wild places, I sometimes forget how easy some ‘wins’ can be, within my own behaviour – and it’s great to remember to pick that low hanging fruit sometimes. Back to plastics – there were some shocking statistics highlighted in the film… One of the messages that particularly resonated with me was that every piece of plastic ever made is still in existence… This is especially frightening considering that currently so much plastic is designed for only single-use (plastic bottles, take-away containers, etc.) and considered disposable – I use that last term lightly, as considering plastic to be disposable is what has gotten us into this mess in the first place. We are now producing nearly 300 million tons of plastic each year – each year – of which 50% is destined for single-use. Incredibly, over 40 % of the total plastic produced is used just to package the things we actually buy i.e. we don’t even want this plastic, it’s delivered to us simply because we buy other stuff. And our rate of consumption shows no signs of abating. Just when I thought the statistics couldn’t get any worse, the film reminded me that each year, 8 million tonnes of plastic finds its way into the oceans… Just think how ultra-light plastic can be, and how tiny the pieces are that it breaks into – then try to imagine the sheer scale of 8 million tons of it, just floating around or hanging about in the water column, being consumed by fish, whales or turtles, or sinking into sediments to stay there for centuries. When we sailed into Rio de Janeiro a few years ago, entranced by the site of the famous Pao de Azucar (or Sugarloaf Mountain) looming large on the horizon, we were brought back down to sea level abruptly as we realised the waters around us were infested by plastic bags, bottles, polystyrene cups, plastic lighters, tiny bits of unrecognisable coloured plastic… all floating around us as far as the eye could see. This single example was heart-breaking to experience, but we’ve all seen plastic litter strewn beaches and debris along our coasts. I wish I could remember that amazing view approaching Brazil’s famous city without recalling the impacts of the litter dumped in the water, but I can’t. Micro plastics in the ocean are adsorbing chemicals, including endocrine disrupters, are bioaccumulating up the food chain, into our food and consumed by top ocean predators. And so, to solutions – I use the mitigation hierarchy almost every day in my work, so to me, it makes sense to approach the issue in a similar way. If we refuse single-use plastic, producers will see the wisdom in repackaging their products in alternative, more sustainable ways. If we reduce the amount of single-use plastic we use, less will end up in landfill or in the ocean. 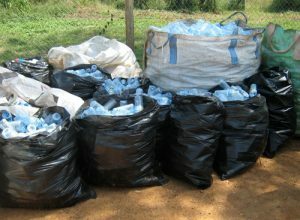 If we recycle single-use plastic where this is available, less new plastic will be produced. If we push producers that use plastics to use recycled plastics instead, then recycling should become more commonplace and cost effective. If we recover energy from recycling plastic waste, then the actual recycling process can provide useful benefits in addition to the production of recycled plastic. If the residual impacts stay as large as they currently are, then we’ve got to confront the reality of how acceptable we find these impacts, and re-think. We could all do with some re-education and behaviour change – I’ve just signed up for two beach cleans in my region, that prior to seeing the film I might have found excuses not to attend. I would encourage everyone to seek out the film – we can no longer ignore the problem, thinking that someone else will solve it.